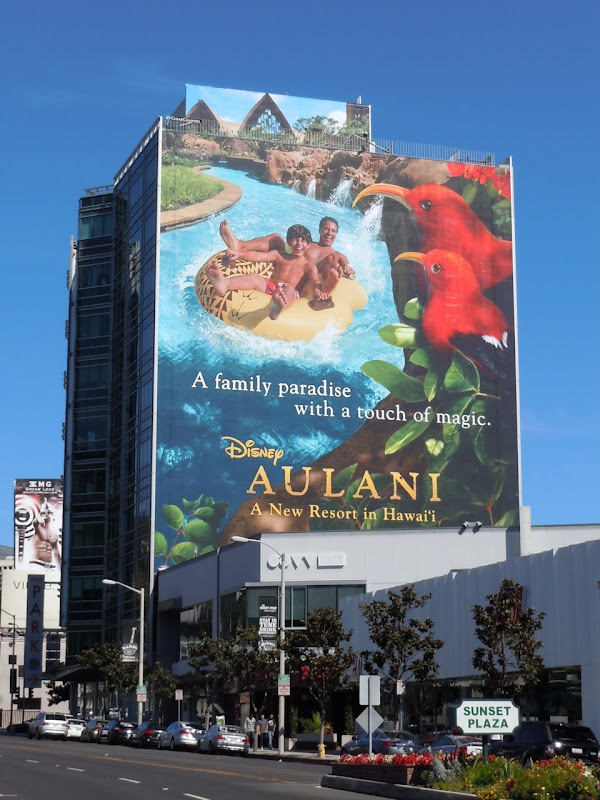 This fun and vibrant giant billboard for Disney's new Hawaiian resort, Aulani, really makes a big splash with a fantastically colourful creative. 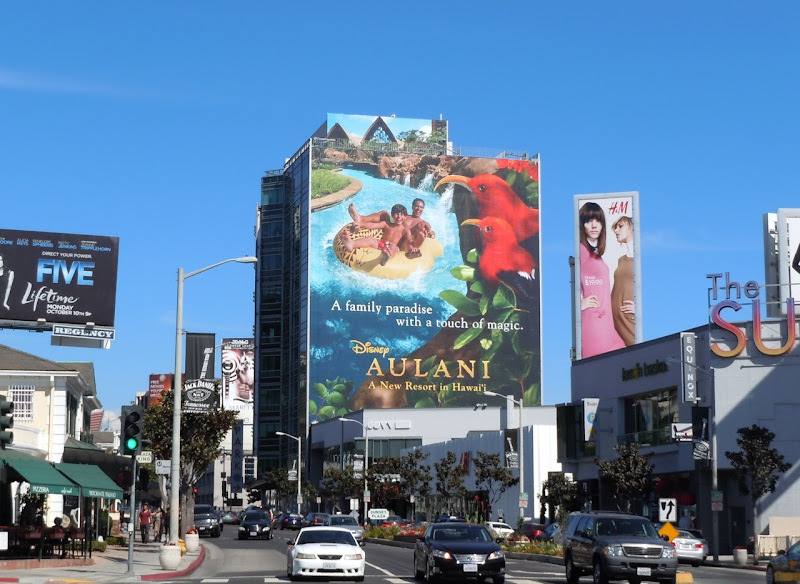 Snapped on a beautifully clear day along L.A.'s Sunset Plaza on October 2, 2011, the super-sized billboard also stands out because this location usually features more entertainment ads, for movies and television shows, so it's literally a visual breath of fresh air. Daily Billboard also likes how the tropical resort creative continues right to the very top of the building, which is normally reserved for a movie release date or the like, which gives the ad an added dimension. 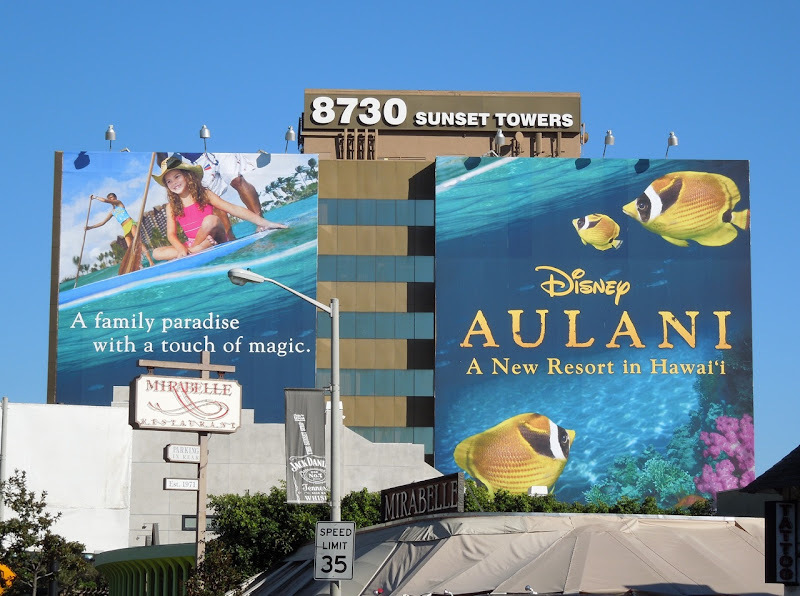 UPDATED: Disney has obviously decided to go big with its advertising campaign for Aulani. 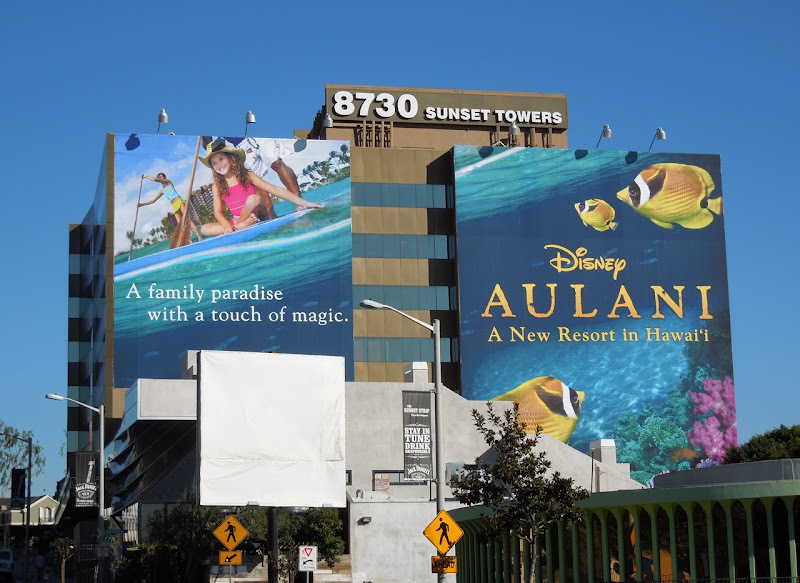 This new super-sized creative for the family holiday resort debuted this week along Sunset Boulevard in West Hollywood and was snapped on January 5, 2012.